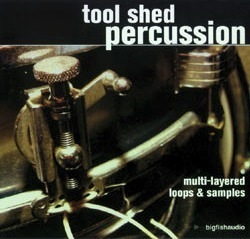 Tool Shed Percussion is a collection of some of the most unique loops and samples ever released! This beautifully recorded library features one-of-a-kind "found" instruments, such as steel tine leaf rakes, singing saw blades, bowed gas tanks, crusty paint rollers, pleather suitcases and thunderous sheet metal. 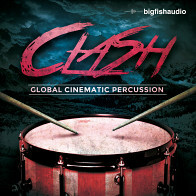 Also included are a full host of other rare and authentic percussion instruments: crushing concert bass drums, rattling parade snare drums, vintage tom toms, bombastic bass drums, shimmering gongs, dusty cymbals and gravel-filled shakers. Forty-nine construction kits combine all of these and much, much more into inspiring and highly usable percussion beds. 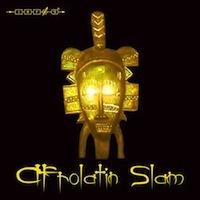 The utilitarian nature of these loops allow them to also be used individually, adding flair to any music track. 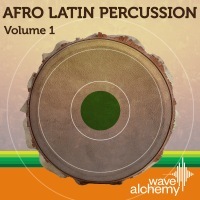 More than six hundred individual samples are added, giving you a total of over twelve hundred files - 1.2 gigs of audio! 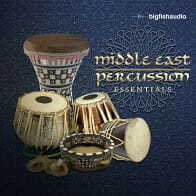 This collection contains two audio CDs and two data CDs, which include ACIDized WAV and REX versions of each loop. 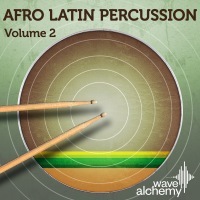 From hip-hop to film soundtracks, rock to electronic, these organic percussion loops and samples, straight from the tool shed, are sure to give your music unique flavor! The Following End User License Agreement is included with Tool Shed Percussion. This License is only valid for the individual who has purchased an unopened, new and lawfully made copy of Tool Shed Percussion from a dealer or distributor authorized by Big Fish Audio.